When serious professionals need to present in a business haven such as Delaware, they know they can count on the experienced experts at Rental Projectors for all of their digital projector needs. Successful business professionals need professional presentation equipment and they choose to rent from our company because we only carry the most technologically advanced DLP and LCD projectors in our colossal and diverse inventory. Our clients who need to present in DE always feel confident knowing that they have our exceptionally trained and devoted renting specialists by their side during their entire rental experience with us. 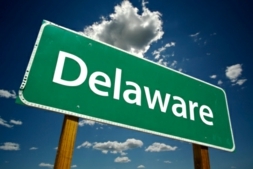 Delaware is home to more than 60% of Fortune 500 companies and is overall one of the most economically dominating states in the U.S. Inspiring business professionals and established business professionals alike know that when they are presenting in DE, they have to bring the absolute best to the table. Our company and unmatched renting specialists knows what it takes to succeed professionally in Delaware because we have been a single-focused projector company that has provided our successful clients with leading-edge presentation rentals for over twenty years. We are the only single-focused online projector company in the industry that has created an exceptionally trained team of DLP and LCD projector experts that prove over and over again that they are an invaluable resource to our clients when they need to enhance their image in DE or anywhere else in the U.S. Whether you need an advanced LCD projector to project incredibly bold and clear text or a DLP projector to illuminate your venue with multimedia saturated in vivid digital color, there is always an ideal projector for your presentation in Delaware in our diverse inventory. Our potential clients who are looking to succeed in Delaware never have to worry about choosing the right projector for their presentation because our elite team of rental specialists are specifically trained to match the perfect presentation equipment to the needs of our clients. We have made the online presentation equipment rental process at RentalProjectors.com a smooth and simple experience. Our customized rental order forms make securing projectors for a specific destination a quick and confusion-free process. Our exceptional specialists are here for our clients and potential clients 24/7 to address any questions or concerns they may have with securing presentation equipment online. Our clients always breathe a little easier knowing that they have the absolute best projector equipment and the best team of specialists by their side during their presentation in Delaware.